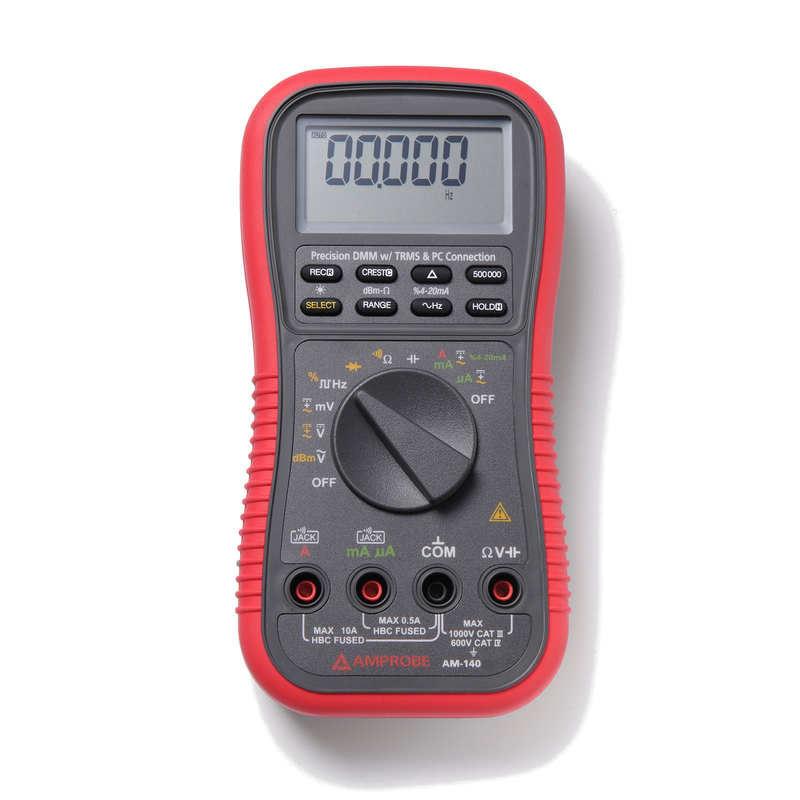 Amprobe AM-140 TRMS Digital Multimeter that has an optical PC connection includes TRMS measurement and optical isolated PC interface capabilities, along with Auto and manual ranging and auto-off. 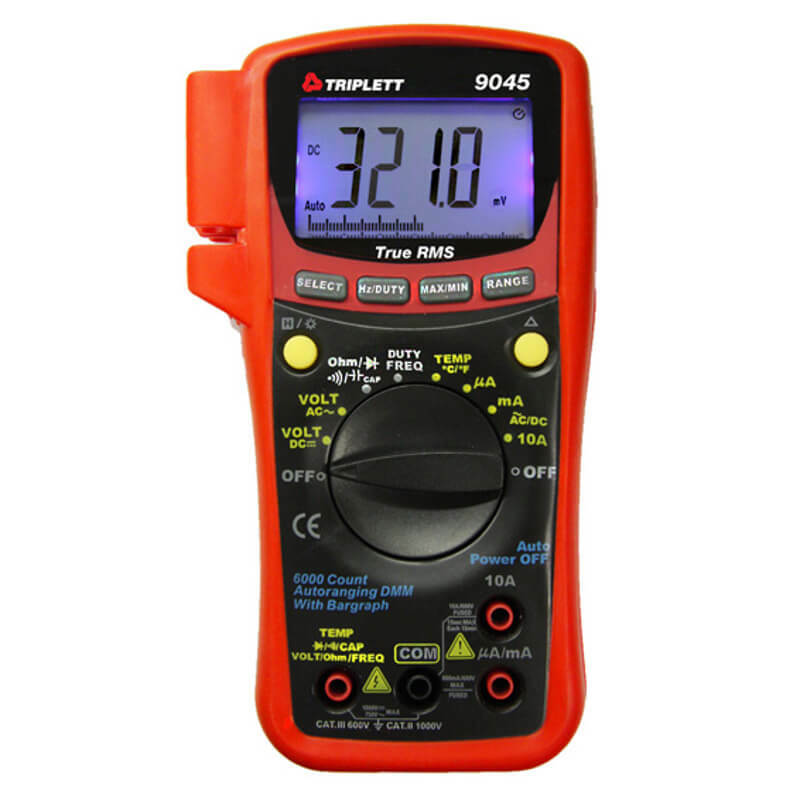 For most applications, the TRMS version of the multimeter is recommended in order to avoid large measuring errors. 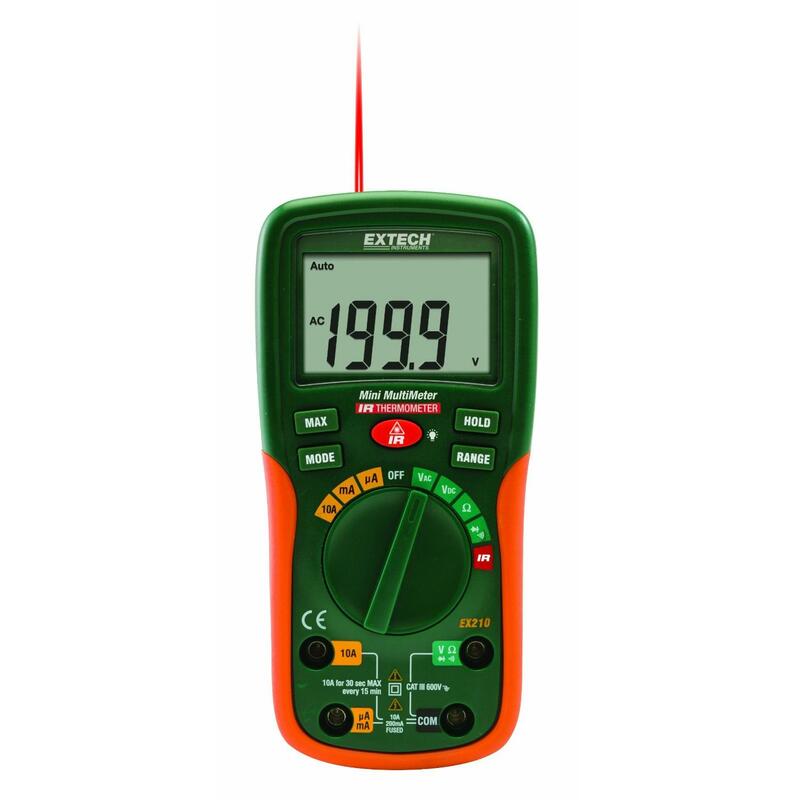 If uncertain, always choose TRMS version to assure measuring accuracy for all your applications, since it assures accurate measurements no matter what the signal strength is. 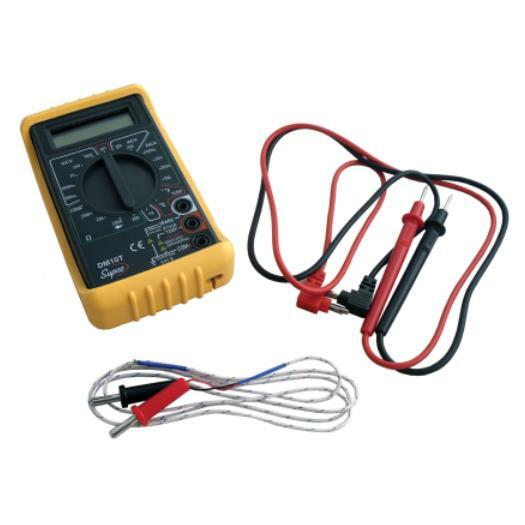 The distortion of the voltage or current is caused in most cases by "Non-linear" loads for example: Electronics (radios, VCRs, computers, TV sets, etc. 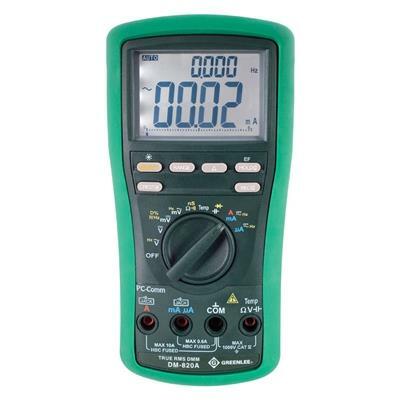 ), Light dimmers, Variable Frequency Drives (VFDs), Adjustable Speed Drives (ASDs).